We highly recommend Tyler. He is very knowledgable about the area, stays on top of the entire process, and is a very personable young man. . . Tyler was there to answer any questions we had. He was great! I would highly recommend Tyler Stewart as a real estate agent. Tyler has been 100% driven to help my husband and I find the right property for our family. Tyler is extremely hardworking and honest, dedicated, professional, detail oriented, and has excellent communication skills. I have the utmost of respect and confidence in Tyler. 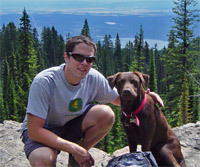 We purchased a beautiful 20 acre lot to build upon in Whitefish in November 2012 with Tyler’s excellent help and focus. Tyler has been our agent for a few years now; and has been a tremendous help in assisting us relocate from NJ to MT. His dedication to helping our family has gone well beyond what most agents would do for their clients. Tyler is not only our agent; however he is also considered a great family friend as well. We were very fortunate to have Tyler work with us for upwards of a year to help make our dream of owning a townhome on Big Mountain Whitefish, MT a reality. He kept us well informed of properties that would come available and being from Canada we were not familiar with the process of purchasing a home in the U.S. Tyler went above and beyond our expectations to make everything right for us and got us in touch with the right people when needed. We had a short time in Whitefish to find the right vacation home and we got it done with Tyler's help! Great help, great personality and an all around great person! Thanks Tyler. Tyler was easy to work with. We peppered him with questions, and he always answered them quickly and with insight. Tyler's communication skills are excellent. He always found time to take our calls and answer our emails. His knowledge of the area, inventory, and our needs helped us to determine our course of action. We HIGHLY recommend Tyler and his skills to anyone looking to relocate (either full or part-time) to Whitefish. We had a great experience working with Tyler. He quickly refined our real estate search and helped us find an ideal lot. He helped us through the entire buying process and did a great job of advocating for us. We appreciated his patience, knowledge, attitude and work ethic. We would both highly recommend him! "In the real estate business haveing a realtor you can depend on that is well versed in the local market makes all the difference. Tyler Stewart has always been a pleasure to work with, he returns calls and emails promptly, is very knowledgeable on the Whitefish real estate market and all around a great person. My wife and I would highly recommend Tyler to anyone looking for real estate or property management in the Flathead Valley." "I had the pleasure of working with Tyler Stewart in Whitefish, Montana while searching for my vacation home. I planned to be in Whitefish for four days. Tyler set appointments for viewing several listings. I felt very confident in his knowledge of the market. He was very encouraging when i decided on a property and assured me my offer was totally within reason. Having never purchased a home on my own, Tyler came through with knowledge, explanations, and total support in completing my vacation home adventure." "We engaged Tyler for an extensive search for property in the greater whitefish area and were extremely pleased with his detailed knowledge of the area, perception of value, ability to critically evaluate issues, and tireless efforts to help us find the best match for our criteria. We would strongly encourage anybody with a similar need to contact Tyler for assistance." Tyler was incredible - such a huge help during the entire process. He is a wealth of information - helped us to feel in the loop and informed about every step. He went the extra mile for us, couldn't imagine working with anyone else. We were looking to purchase in Whitefish from out of country. We found Tyler to be the most responsive in our questions and hence selected him as our agent. The process had numerous challenges and Tyler dealt with them (and us) patiently and professionally. I have such recomended Tyler to freinds which I believe demonstrates our confidence in his abilities. I contacted Tyler via the internet to ask for advice purchasing land in the Whitefish region (I lived on the East coast at the time). He was helpful, responsive, and assisted with good advice and options. Tyler always responded to my questions with thoughtful and complete answers both by email and phone. It is also noteworthy to mention that Tyler demonstrated unrelenting patience with my frequent questions (as a first time buyer, I asked for many explanations). Based on my experience closing recently, I would recommend Tyler to others seeking realty support. The purchase of the real estate we bought through Tyler has recently closed. We are from Canada so we were not aware of many of the local market considerations, various areas, ammenities, etc Tyler took considerable time to understand our situation and the challenges of foreign currency and credit. Tyler proved to be very knowledgeable He was concerned that the process was managed with our best in mind (sometimes working w financial instiutions the buyer best is not forefront). He worked hard over long hours to cover all the bases. Thx Tyler, we're glad we met you ... we'll be needing your expertise in the near future! I recently purchased a foreclosed condo in Whitefish MT from Colarado. Not only did Tyler orchestrate a challenging sale with a very persistent and demanding bank of America. He did this while I was still in Colorado. And again not only organizing but fixing major issues that bank of America would not. This included hiring and supervising the fixing of a furnace/dishwasher, stretching of carpets, installation of a new floor and move-in cleaning. All done while I was still in Colorado. This takes a rare realtor who excels at communication, punctuality, patience, diligence, intelligence and most importantly trust. I highly, highly recommend Tyler Stewart. My husband and I invest in real estate in several locations, and have worked with many realtors. The level of dedication that Tyler has to his clients is impressive. Tyler took several days showing us properties that he carefully selected, showing us the town that he is obviously proud of, and made the whole experience stress free and fun! If I could clone him for other parts of the country, I would! My husband and I recently purchased a home and we will definitely use Tyler again the next time. He is very friendly, pleasant, and knowledgeable. He made a sometimes difficult process go smoothly. He helped create a buying experience that was fun and exciting for first time home buyers like us! I would recommend Tyler to anyone interested. We highly recommend, Tyler! He is very knowledgable about the area, stays on top of the entire process, and is a very personable young man. . . Tyler was there to answer any questions we had. He was great! Bought a Single Family home in 2012 in Whitefish, MT. We have always wanted to make a purchase on Big Mountain. With Tyler's help our dream became reality! He was very helpful in finding us what we feel is like our home away from home. We feel he went above and beyond what he needed to to help us with our purchase in all aspects since we are from Canada and are not familiar with home owners responsibilities in the US. If there was something he couldn't answer or get done for us he got us in touch with the people that could help us. Tyler was so focused on helping us find a fantastic lot that really meets our needs. He made excellent suggestions that made the whole process run smoothly; there was no doubt that he would have done whatever was necessary to assist us. Tyler was patient, attentive, upbeat and gracious. We would both highly recommend him! Bought a Single Family home in 2012 in Kalispell, MT. Tyler was excellent to work with. He was very knowledgeable, proficient, and thorough. Everything went very smoothly; if he did not have an answer for me he found the information quickly. He was always in touch and easy to contact. This was my first experience buying a house and it was a little scary. I was obviously inexperienced with the process and Tyler made it simple. He worked very hard to go the extra mile to make sure everything was as it should be. I appreciated his knowledge, his patience and his kindness. We started looking for houses in Whitefish months ago and found Tyler online. He has been an incredible resource through out the process. We are so happy with our newly purchased house, and could not have asked for more support or more professionalism. Tyler was incredible responsive, informative, and knowledgeable. It was a true pleasure to work with him and have highly recommended him to others. Bought a Condo home in 2012 in Whitefish, MT. When one walks someone to the train station and then precedes to wait 10 minutes to make sure they get on the right train; obviously, a nice gesture and by definition going beyond the call of duty. I recently purchased a foreclosed condo in Whitefish MT from Colarado. Not only did Tyler orchestrate a challenging sale with a very persistent and demanding bank of America. He did this while I was still in Colorado. Then if that was not enough Tyler stayed behind and made sure I got on the right train, metaphorically speaking of course. He again not only coordinated but rectified major issues that bank of America would not. This included hiring and supervising the fixing of a furnace/dishwasher, stretching of carpets, installation of a new floor and move-in cleaning. All done while I was still in Colorado. This takes a rare realtor who excels at communication, punctuality, patience, diligence, intelligence and most importantly trust. I highly recommend Tyler, not only because he's an exceptional real state agent, but because he's an exceptional human being and now a friend. Tyler is a unique realtor in that he is truly interested in finding you the home or property that you want, not the property he wants to sell you. He is genuine, patient, detail oriented, responsive, honest, listens, and takes the time to understand his clients. We recently worked with Tyler on a real estate purchase. He provided sound advice and was well informed about the specific issues buyers should be looking out for when making a purchase. We have worked with several realtors over the years and found Tyler to be, without question, the best of the best. Bought a Single Family home in 2009 in Whitefish, MT. Tyler's knowledge of the Whitefish area combined with his outgoing personality made him an easy choice as a real estate agent. Being new to the area I was not familiar with the different neighborhoods around town. With Tyler's help I found the perfect home in a relatively short amount of time. I was so impressed with his professionalism that I recommended him to my parents, whom he also helped purchase a home. If you're looking for a home in the Whitefish area Tyler Stewart is an excellent choice as a real estate agent. Tyler Stewart was my perfect agent. I enjoyed working with him. He is a very comfortable person and made me feel quite at ease with all decisions. For sure, I can recommend him as a buyers' or sellers' agent as he will work to benefit their needs. I hadnt bought or sold a house in 30 years. I put trust in Tyler the minute I met him He did me good. Drove a long distance to show me a place and had a smile on his face. I bought that place and he walked me through each step and advised me well when things came up. Ive said it before and I'll say it again...I wish he'd marry may daughter. Tyler takes the time to understand his clients and their needs by listening well and asking good questions. He is personable and thorough and very dedicated to meeting the clients goals. Showed home in 2010 in Whitefish, MT. I would highly recommend Tyler Stewart to anyone seeking real estate in the Whitefish and surrounding area in Montana. I have been working with him for numerous months now and find him to be extremely knowledgeable, detailed, responsive, and professional. I find Tyler to be a super real estate agent, he truly puts his heart and soul in what he is doing and gives 100%. My family and I are proud to now consider him as well a good friend. My wife & I worked with Tyler for almost a year. He knew what we were looking forward and had the patience and expertise to not make us jump on anything until we found exactly what we wanted. He local knowledge and connections enabled us to find & purchase what we always wanted, at the right price! Tyler put us first and it is much appreciated. Showed home in 2010 in Lupfer, Whitefish, MT 59937. I would definitely recommend Tyler to someone who is looking to buy or sell a house in the Flathead Valley. He is very knowledge of the area and goes the extra mile. Tyler is also excellent in property management. He found me a beautiful rental house to live in, and has been very involved with all aspects of the rental process.